Digital video recorder company TiVo provides third-quarter net loss guidance of $19 million to $21 million. 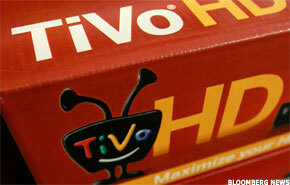 ALVISO, Calif. (TheStreet) -- TiVo ( TIVO is feeling the weight of rising costs and hefty legal fees. The digital video recorder company reported a loss of $15.3 million during the second quarter, compared with a loss of $2.7 million in the year-ago quarter. On a per-share basis, TiVo had a loss of 13 cents per share compared with a consensus loss estimate of 15 cents. TiVo saw a decline in subscriber acquisition costs during the quarter, driven by better margins on the company's TiVo Premiere boxes. Net revenue was $51.6 million, falling from $57.6 million the previous year, but topping the average analyst forecast of $41.9 million. During its earnings call, the company said it's looking to push out the DIRECTV ( DTV - Get Report) box it's developing with the company later this year, and is seeing solid demand for this new HD box. "We reiterate our outperform rating on TiVo shares," BMO Capital analyst Edward Williams wrote in an investor note. "Although the stock remains hijacked by the legal system with the drawn-out litigation against EchoStar, TiVo continues to drive increased distribution of its products and services through strategic partnerships that should result in a return of subscriber growth." However, Williams is lowering his earnings per share estimate for TiVo this fiscal year and the next fiscal year reflecting the expectation of higher research and development costs and greater litigation expenses. Williams projects a loss of 61 cents a share, wider than the previous expectation of a loss of 52 cents per share for the current fiscal year. He expects a loss of 48 cents per share compared with the previously-expected loss of 40 cents for the next fiscal year.